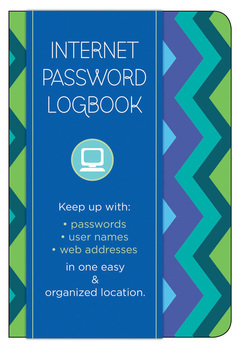 The Internet Password Logbook is a must have. Trust on this one. 5. It’s small and compact to keep all of your most important information handy. 4. It’s portable, so you can bring it anywhere and everywhere. (Just don’t forget to put it back in your bag before you leave! 3. The visually appealing cover keeps you looking stylish. 2. An easy to follow format helps keep everything neat and organized. And the most important reason of all…..
1. You won’t have to worry about forgetting your login information or having to put your passwords on sticky notes ever again.